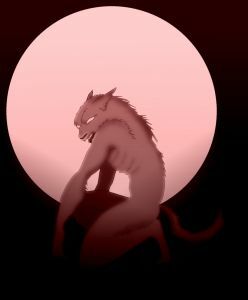 Evolution can be likened to a werewolf. It is unnatural, has no right to exist, destroys lives, perpetuates its own curse and should be put down. "How can you say that, Cowboy Bob? Evolution is a scientific fact!" Nope. Despite the rantings of Darwin's undereducated cheerleaders and fundamentalist stormtroopers, evolution is not a "fact", and it is not "science". Sure, we are subjected to tendentious interpretations of facts shoved through evolutionary presuppositions and told, "Here is proof! ", but actual examinations of the facts do not support it. Also, evolution is a belief system about the past using scientific methods; this is historical science, not observational science, and the two should not be equivocated. The philosophies of evolutionism have been applied to economics and governments, making it into a disastrous religion. Although proponents of evolution claim to have reason on their side, logic is the silver bullet that kills the unnatural beast of evolution (even though it won't lay down properly). Further, science and reason support biblical creation! Click here to read "The Silver Bullet that Killed Evolution". What If Christians Acted Like Muslims? Mohammedans attacked American embassies, killing an ambassador and other members of the diplomatic corps. (Note to B. Hussein Obama, "corps" in this context is pronounced "core".) Of course, it was sheer coincidence that coordinated attacks on American embassies happened on September 11, yes? Sure it was. And of course, they were perfectly right in rioting and killing people because they were "offended" by an amateur film that insulted Mohammed, never mind that the people they killed had nothing to do with the film. 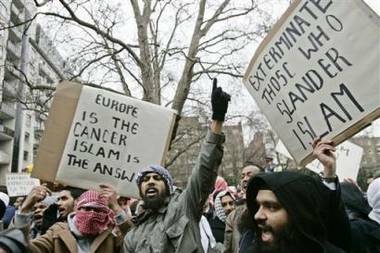 Some countries believe in freedom of speech (except the United States, where Mohammedans are being coddled more and more, on our way to Sharia law). Christians put up with a great deal of ridicule and outright hatred. What if we did not actually follow the teachings of the Bible? Washington, DC — The so-called "Reason Rally" had about one hundred nervous people in attendance because of threats by Christian radicals. Being his usual profane self, P.Z. Myers rattled off some epithets about the awfulness of "religion" and hurried away. Richard Dawkins was rumored to be sequestered instead of taking any risks after the death threats made against him because of his anti-Christian books and silly remarks. The Smithsonian's most blatantly evolutionary exhibits are on lockdown, and security has been quadrupled throughout. Madison, WI — Headquarters of the Freedom From Religion Foundation are still smoldering today after being almost completely obliterated by a bomb blast two days ago. Police suspect the American Family Association. Dan Barker of the FFRF is quoted as saying, "Thank God I wasn't there — oops! Don't quote me on that!" Halesowen and Sutton, England — Several insignificant alcoholic atheists were found dead with computer keyboards embedded in bodily orifices. Scotland Yard suspect the Church of England, who took credit for the bombing of a pub in Milton Keynes frequented by atheists. Charlotte, NC — David Silverman of American Atheists was found embedded in a billboard that his organization sponsored for the purpose of ridiculing the religious beliefs of presidential candidates. Police suspect Christian group Voice of the Martyrs. Egypt — Coptic Christians continue to rampage, with no end of the violence in sight. Mohammedan groups such as CAIR have issued statements condemning the actions of militant Christians, and decried the lack of action on the part of "moderate" Christians to put a stop to the actions of the radical groups. Fortunately for the world, the "events" listed above cannot happen. We do believe the Bible. Unfortunately, some believe it more than others, and many do not have much more than a token "spirituality". God changes lives, and that is why we are not engaging in violent activities as a whole. Some atheists have complained that they are the ones getting discrimination, as are members of the "religion of peace". That is not only a lie, it is laughable. Christians receive discrimination, persecution and discrimination all over the world from atheists and Mohammedans (the only thing those two have in common is their hatred of Christians). These acts have been documented elsewhere on this Weblog. but all to come to repentance.